MacBook Air 2011 Refresh & Mac Mini 2011 Refresh Official Prices in Malaysia! 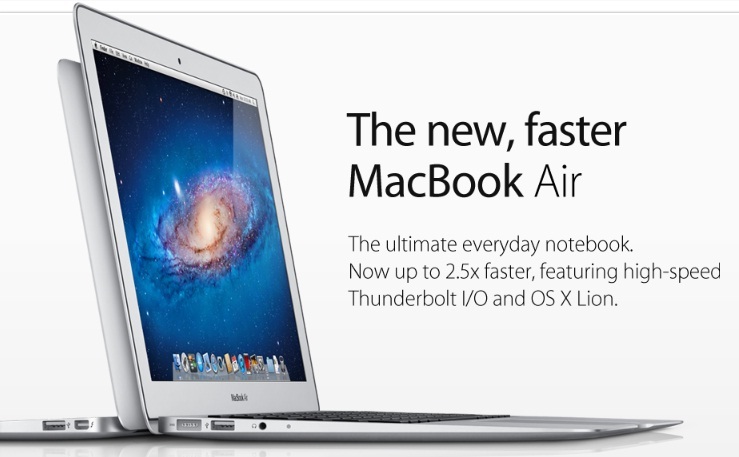 MacBook Air refresh is out already! With the latest-generation Intel Core i5 and i7 processors, high-speed Thunderbolt I/O technology, and all-flash storage, MacBook Air isn’t thin on features. With this kind of specs, some even declared the death of MacBook Pro. This is crazy. Apple also announced the launch of Mac Mini 2011 Refresh together with MacBook Air. This time the Mac Mini does not come with optical drive like its previous models as Apple is moving to its cloud computing. For your information, Apple resellers still haven’t announce the availability of the new MacBook Air & Mac Mini. Official Price for New 2011 Apple iMacs in Malaysia!! !